Beauty. Politics. Inequality. Gender. Money. Familiar themes endlessly discussed. But are we hearing every essential voice? Rhetorical question, because the answer is obviously no. For example, not enough of us have heard the searing analysis from sociology professor and black feminist thinker Tressie McMillan Cottom. In her new collection of essays, Cottom says her work is animated by what’s still seen as a "radical idea … black women are rational and human." From that assumption, she works her way analytically through politics, economics, history, sociology and culture. "It rarely fails me," she says. "If they're wondering where I'm going with that, it says a lot about the reader, first of all. Young readers, people who spend a lot of time on social media, maybe in popular culture absolutely see it and start laughing. They think it's a bit of an inside joke, because it is often used, especially in culture and African-American culture, to mean a certain type of physical presence. And this is where everybody usually starts Googling a picture of me, and I would just really suggest no one do that. But, it does usually suggest a certain presentation of femininity, of being somewhere between thin and what we would probably call fat. There's this category out there that we think of as 'thick.' But there's also, one of the plays on the title essay is that idea that I also wanted to connect how we move through the world physically as women, with black women's bodies in this world, and connect that to our political thought and the way that we think and approach the world. "I have an understanding that black women, like any other group of people, any other subculture, has a political philosophy and a ideology. And we've got a history of thought. And that history of thought, when I reflected on the things that had been most instructive in my own learning over the course of becoming a girl and a woman in this society, this thing kept resonating with me of nuance, of depth, of complexity in the history of that thinking. And to me that was just another way to think about 'Thick.' And then I wanted to write essays that would expose these different ideas and these different ways of thinking about the world to people who may not experience them themselves. And for that I drew on this idea of thick ethnography, which comes out of anthropology and sociology, which is this idea that if we get it right, if we accurately represent the nuance of how a culture experiences the world, people who are not a part of that culture can get a window into how people navigate society." "The hyper-visibility means that you both can't hide, but also never really feel completely seen by authority figures and by your peer groups. Trapped in that space of hyper-visibility, I think, is where we wrestle with the ideas of, 'What part of me matters?' "
On the duality and complexity of being "hyper-visible"
"There's this sense that because you are physical different when you are attending integrated schools, as I did in Charlotte, North Carolina, and like many students of that generation did, as the black student in an integrated school you were visible, particularly if you were academically gifted or a high-achieving student, as I was and many of my friends were. Because people wanted to invest in the idea of high-achieving black students, or they want to invest in the idea of the poor, damaged students that need a lot of attention, and while the motivation there may start from a good place, what that does is create this sense of, no matter what you do, you're constantly seen by authority figures, and whether that be white teachers or by white students, who often has a greater sense of ownership of the school than you do, and while they may always see you (that's the visibility part), the hyper-visibility part says they don't always get to know you. While you may constantly be seen, navigating the hallways and you may be picked out by students and teachers, there's not usually an effort to get to know your perspective on the world, to understand what we might call being culturally be responsive to how people approach the world differently. The hyper-visibility means that you both can't hide, but also never really feel completely seen by authority figures and by your peer groups. Trapped in that space of hyper-visibility, I think, is where we wrestle with the ideas of, 'What part of me matters?' " Which all young people are grappling with, but when I think you are a black woman it comes with particular risks." 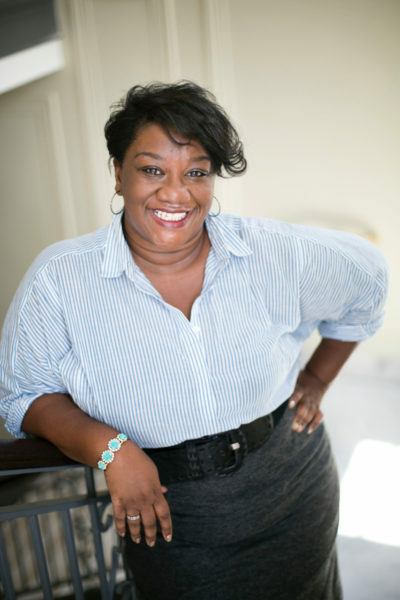 "This has been an issue for black women who have been doing intellectual work for the whole recorded history of our time in Western society, which is that what people tend to want from us, what an audience wants when they want to consume what black women produce as our intellectual work, is they often want to consume our emotions and our experiences, which is not always the same as respecting our expertise and our intellectual contribution. Now that's a problem for women intellectuals writ large I would like to say, but, as I always say to people, it can be a problem for everybody, I just happen to be talking about black women. Because I do think it is particularly acute for black women, because what you're butting up against are stereotypes about who is allowed to be expert. And the farther away you move from our dominant assumptions about who should have expertise, generally speaking, the more you have to prove that you have a legitimate claim to whatever you're speaking on. For black women that means we're dealing with racist ideas and stereotypes about who's knowledge is valuable, but we're also dealing with gender stereotypes about who should be allowed to speak and to lead. We're also dealing with class issues about, because African-American women, for all of the reasons I would hope many of us know, are less likely to be represented in high-income status groups, we are also dealing with the issues of class. We're more likely to be poor or working class, and our society also doesn't value expertise from those groups of people. "So just layer and layer upon inequalities manifest in this way that say for black women to be respected as experts on whatever it is we've been trained in, whatever experiences we bring to a conversation, we almost always first have to present a palatable form of our sob story first. I talk about it in the book as how angry sometimes my senior black women colleagues will get when they say, 'You're bleeding instead of thinking. You're bleeding on the page.' And the problem there, of course, is that sometimes, oftentimes, too often, dominant publications and outlets won't let us think until we have first bled." "What an audience wants when they want to consume what black women produce as our intellectual work, is they often want to consume our emotions and our experiences, which is not always the same as respecting our expertise and our intellectual contribution." "There is, in everybody's life, and I do not think I'm special in this way, my experience is just particular, not exceptional, but in every life there is, I think, a trauma that potentially changes who you are, and my trauma is a particularly traumatic loss of my child. I had all of the hallmarks necessary to have a fairly typical pregnancy in the wealthiest nation in the world. I was middle class, I was educated, I was married, I was healthy. I had chosen what I say in the book was a good doctor on the white side of town, which is that rough cultural geography that we often use when we are trying to figure out a good service provider, a good school, a good home or a good job. My doctor's office and my hospital was one where well-heeled white women went. So I expected to have a fairly typical pregnancy, and instead I not only didn't have a typical pregnancy, but I realized that I had misunderstood what a typical pregnancy was for a black woman. "In the United States of America, a typical pregnancy for a black woman is more potentially fraught with emotional and physical negative outcomes than it is for white women, and in fact, our experiences of childbirth and labor on are on par with what we might think of as more typical in 'developing nations.' Black women are dying, and our children are dying, trying to be born in this country, in a way that's not true for any other group in the United States of America. "And I thought I was an exception, if you want to know the truth. And one of things that I learned is that I couldn't be an exception. It didn't matter how educated I was, it didn't matter that I tried to make all of the right choices. At the moment when the health care system needed me to be whatever they assumed a typical black woman should be, in my position, they treated me that way until I was as incompetent as they assumed that I was. And that looked like not believing me when I said that I was having labor pains. It looked like not being proactive to figure out why my labor was starting so easy. It looked like not providing me pain management. And it looked like, in the end, blaming me for not making them treat me better. The last thing the nurse said to me as she was leaving, as I was sitting there having just lost my child, and we just figured out whether or not we were going to have a funeral for her — if she had been alive long enough to have a funeral was the question — and the nurse turns to me and says, 'It's not our fault, there was nothing we could do. You never told us you were in labor.' But that's fairly typical, and that's the devastating part of it. This is what we do. "I never wanted to write about it, because I don't ever want to trade in trauma in and of itself. There's nothing wrong with it, it's just not what I do. But I felt like I couldn't tell the larger story of how we structurally make some people incompetent so that other people can act competency more in our society without telling why I had come to know it. Part of how I come to know it was that it should not have happened. It was the exceptional nature of this, the fact that it should not have happened, but the very pedestrian fact that it does happen every day is how I had come to know it. And I wanted to value that as much as I did my intellectual knowledge." Every time there is a national news story about a black shopper harassed in a store, there is a predictable backlash to the miscarriage of justice. We tend to move quickly from being outraged that it happened to critiquing why a black person was shopping there at all. Much like we interrogate what a woman was wearing when she was raped, we look for ways to assign personal responsibility for structural injustices to bodies we collectively do not value. If you are poor, why do you spend money on useless status symbols like handbags and belts and clothes and shoes and televisions and cars? One thing I’ve learned is that one person’s illogical belief is another person’s survival skill. And nothing is more logical than trying to survive. My family is a classic black American migration family. We have rural southern roots, moved north, and almost all have returned. I grew up watching my great-grandmother, and later my grandmother and mother, use our minimal resources to help other people make ends meet. We were those good poors, the kind who live mostly within our means. We had a little luck when a male relative got extra military pay when he came home a paraplegic or used the VA to buy a Jim Walter house. If you were really blessed, when a relative died with a paid-up insurance policy, you might be gifted a lump sum to buy the land that Jim Walter used as collateral to secure your home lease. We were big readers and we encouraged the girl children, especially, to go to some kind of college. Consequently, my grandmother and mother had a particular set of social resources that helped us navigate mostly white bureaucracies to our benefit. We could, as my grandfather would say, talk like white folks. We loaned that privilege out a lot. I remember my mother taking a next-door neighbor down to the social service agency. The elderly woman had been denied benefits to care for the granddaughter she was raising. Her denial had come in the genteel bureaucratic way—lots of waiting, forms, and deadlines she could not quite navigate. I watched my mother put on her best Diana Ross Mahogany outfit: a camel-colored cape with matching slacks and knee-high boots. I was miffed, as only an only child could be, about sharing my mother’s time with the neighbor girl. I must have said something about why we had to do this. The Vivian, as I called my mother, fixed me with a stare as she was slipping on her pearl earrings and told me that people who can do, must do. I internalized that lesson and I think it has worked out for me, if unevenly. A woman at Belk once refused to show me the Dooney & Bourke purse I was interested in buying. The Vivian once made a salesgirl cry after she ignored us in an empty store. I have walked away from many a hotly desired purchase, like the impractical off-white winter coat I desperately wanted, after some bigot at the counter insulted me and my mother. But I have a Ph.D. and I support myself by aping the white male privileged life of the mind. It’s a mixed bag. Of course, the trick is you can never know the counterfactual of your life. There is no evidence of access denied. Who knows what I was not granted for not enacting the right status behaviors or symbols at the right time for an agreeable authority? Respectability rewards are a crapshoot, but we do what we can within the limits of the constraints imposed by a complex set of structural and social interactions designed to limit access to status, wealth, and power. I do not know how much my mother spent on her camel-colored cape or knee-high boots, but I know that whatever she paid was returned in hard-to-measure dividends. How do you put a price on the double-take of a clerk at the welfare office who decides you might not be like those other trifling women in the waiting room and provides an extra bit of information about completing a form that you would not have known to ask about? What is the retail value of a school principal who defers a bit more to you, because your mother’s presentation of self signals that she might unleash the bureaucratic savvy of middle-class parents to advocate for her child? I didn’t know the price of these critical engagements with organizations and gatekeepers relative to our poverty when I was growing up. But I am living proof of its investment yield. Why do poor people make stupid, illogical decisions to buy status symbols? For the same reason all but only the most wealthy buy status symbols, I suppose. We want to belong. And not just for the psychic rewards, but belonging to one group at the right time can mean the difference between unemployment and employment, a good job as opposed to a bad job, housing or a shelter, and so on. Someone mentioned on Twitter that poor people can be presentable with affordable options from Kmart. But the issue is not about being presentable. Presentable is the bare minimum of social civility. It means being clean, not smelling, wearing shirts and shoes for service, and the like. Presentable as a sufficient condition for gainful, dignified work or successful social interactions is a privilege. It’s the aging white hippie who can cut the ponytail of his youthful rebellion and walk into senior management, while aging Black Panthers can never completely outrun the effects of stigmatization against which they were courting a revolution. Presentable is relative and, like life, it ain’t fair. In contrast, “acceptable” is about gaining access to a limited set of rewards granted upon group membership. A manager at the apartment complex where I worked while in college told me, repeatedly, that she knew I was “okay” because my little Nissan was clean. That I had worn a Jones New York suit to the interview really sealed the deal. She could call the suit by name, because she asked me about the label in the interview. Another hiring manager at my first professional job looked me up and down in the waiting room, cataloging my outfit, and later told me that she had decided I was too classy to be on the call center floor. I was hired as a trainer instead. The difference meant no shift work, greater prestige, better pay, and a baseline salary for all my future employment. I have about a half dozen other stories like this. What is remarkable is not that this happened. There is empirical evidence that women and people of color are judged by their appearances differently and more harshly than are white men. What is remarkable is that these gatekeepers, in one way or another, actually told me why I was deemed acceptable. They wanted me to know how I had properly signaled that I was not a typical black or a typical woman, two identities that in combination are almost always conflated with being poor. I sat in on an interview for a new administrative assistant once. My regional vice president was doing the hiring. A long line of mostly black and brown women applied because we were a cosmetology school. Trade schools at the margins of skilled labor in a gendered field are necessarily classed and raced. I found one candidate particularly charming. She was trying to get out of a salon because 10 hours on her feet cutting hair would average out to an hourly rate below minimum wage. A desk job with 40 set hours and medical benefits represented mobility for her. When she left, my VP turned to me and said, “Did you see that tank top she had on under her blouse?! OMG, you wear a silk shell, not a tank top!” Both of the women were black. The VP had constructed her job as senior management. She drove a brand-new BMW because she “should treat herself,” and liked to tell us that ours was an image business. A girl wearing a cotton tank top as a shell was incompatible with BMW-driving VPs in the image business. Gatekeeping is a complex job of managing boundaries that do not just define others but also define ourselves. Status symbols—silk shells, designer shoes, luxury handbags—become keys to unlock these gates. If I need a job that will save my lower back and move my baby from Medicaid to an HMO, how much should I spend signaling to people like my former VP that I will not compromise her status by opening the door to me? Maybe that candidate could not afford a proper shell. I will never know. But I do know that had she gone hungry for two days to pay for it or missed wages for a trip to the store to buy it, she may have been rewarded a job that could have lifted her above minimum wage. Shells aren’t designer handbags, perhaps. But a cosmetology school in a strip mall isn’t a job at Bank of America, either. At the heart of incredulous statements about the poor decisions poor people make is a belief that we, the hard-working, sensible not-poor, would never be like them. We would know better. We would know to save our money, eschew status symbols, cut coupons, practice puritanical sacrifice to amass a million dollars. There is a regular news story of a lunch lady who, unbeknownst to all who knew her, died rich and leaves it all to a cat or a charity or some such. Books about the modest lives of the rich like to tell us how they drive Buicks instead of BMWs. What we forget, if we ever knew, is that what we know now about status and wealth creation and sacrifice are predicated on who we are—that is, not poor. 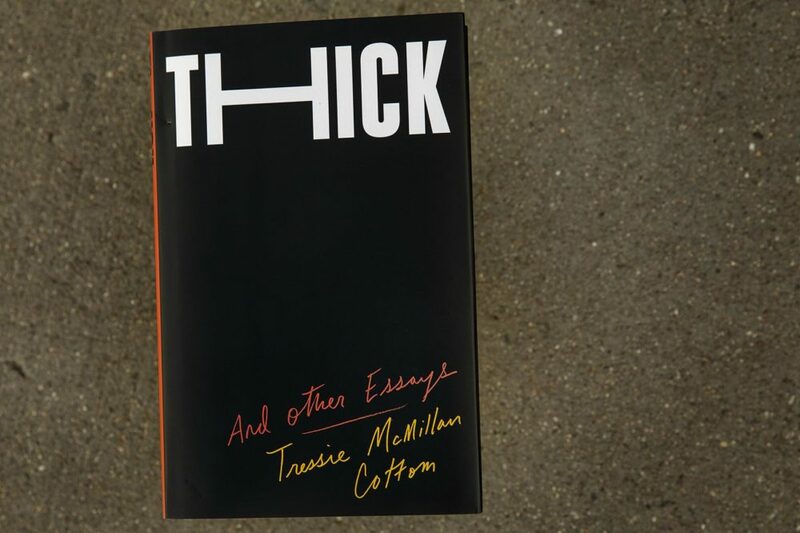 Excerpted from THICK by Tressie McMillan Cottom. Copyright © 2019 by Tressie McMillan Cottom. Reprinted with permission of The New Press. Longreads: "Of Blackness and 'Beauty'" — "Back in 2013, Miley Cyrus was in the hip-hop phase of her career, during which she consorted with rappers and attempted to twerk for more notoriety. The hit pieces calling out her cultural appropriation were ubiquitous. Everyone had an opinion on her new gimmick, including sociologist Dr. Tressie McMillan Cottom, who wrote an essay for Slate on the dangers of Miley’s now infamous MTV performance and inserted herself into the narrative by calling herself unattractive. The comments, some of which she included in her collection 'Thick: And Other Essay' were 'brutal.' White women were upset with her for believing that she was unattractive when in their eyes, she was the opposite, and black women were upset with her for what they assumed was self-hatred on display. Both groups, as far as McMillan Cottom was concerned, were wrong. Both were aghast that she would call the devil by its name in broad daylight. What she explains in one of the most compelling sections of 'Thick' is that beauty is about capital and power. Predominant standards of beauty center the white female body, and as a dark-skinned black woman, she exists outside that kind of beauty. That’s not to say that she did not find herself beautiful by black standards, in the circles in which she travels — at the historically black institution of which she is an alumna, or Rudean’s, a legendary joint for black North Carolinians. However, beauty as we know it in Western civilization is exclusionary. It is not meant for everyone." Chicago Tribune: "The author you need to read now: Tressie McMillan Cottom" — "January can be a slow month for publishers. Having disgorged their premium titles and projects from big-name authors in the fall, and with readers potentially sated from holiday book gifts, the pace of new releases seems to slacken. "But there is a new book coming out Jan. 8 that signals the arrival of a writer who should be listened to. The book? 'Thick: And Other Essays.' The author? Tressie McMillan Cottom. "In truth, Cottom, a professor of sociology at Virginia Commonwealth University, has been here for quite some time. Her 2017 book, “Lower Ed: The Troubling Rise of For-Profit Colleges in the New Economy,” was reviewed in The New York Times and landed her a guest spot on “The Daily Show.” In the universe of academic types online, in which I occasionally travel, she is a superstar. I read her twice-monthly online newsletter — The First and 15th — the moment it arrives in my inbox. By the time I’m done, the Twitteratti is already chattering about it." Madeleine D'Angelo produced this show for broadcast. 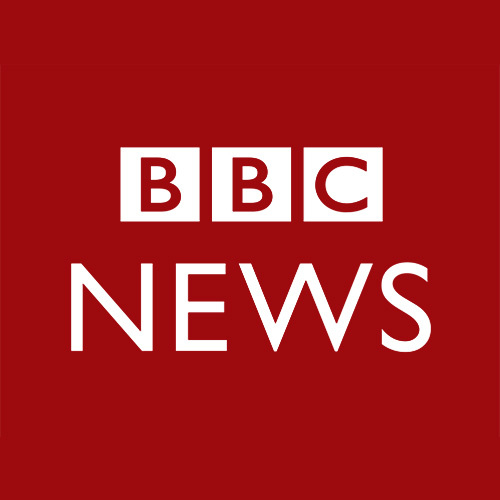 This program aired on January 21, 2019.